Black Bun Hair Former Only 91 Cents PLUS FREE Shipping! You are here: Home / Great Deals / Amazon Deals / Black Bun Hair Former Only 91 Cents PLUS FREE Shipping! I have a couple of these bun formers for hair and they work like a charm! Great for keeping your hair up all day in the summer heat! 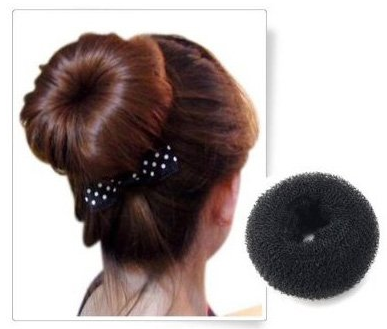 This Black Bun Hair Former is Only 91 Cents PLUS FREE Shipping! You can’t beat that price! Hurry and get yours now!